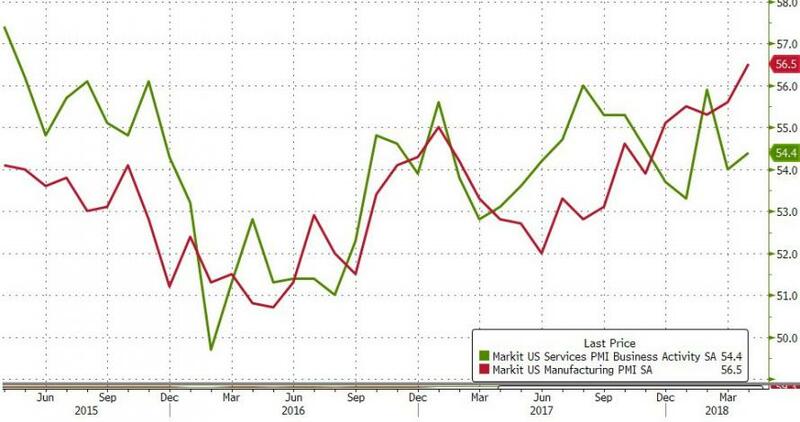 Despite US 'soft' survey data serially disappointing (and following a mixed picture from European PMIs), Markit reported April's flash PMIs better-than-expected with Manufacturing at a 43-month high and Services rebounding. In line with stronger client demand, and rising cost burdens, average prices charged for goods and services increased solidly. The rate of input price inflation was the quickest since July 2013, with panelists noting that the introduction of tariffs had been a key factor pushing raw material costs higher. “The US economy picked up pace again at the start of the second quarter. The April PMI surveys registered the second-strongest monthly expansion since last October. 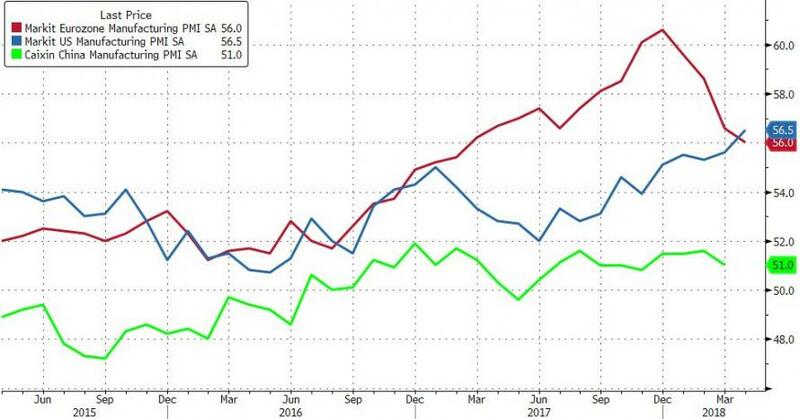 Manufacturing is leading the upturn, with factories reporting the strongest output gains for 15 months, and the vast service sector is enjoying a steady, robust expansion. “First, growth in new orders accelerated to show the largest surge in demand for goods and services for just over three years. Second, companies’ expectations of growth over the coming year jumped to a three-year high. Third, hiring remains robust as firms struggle to cope with demand. The surveys point to non-farm payroll growth of approximately 200,000 in April. “After a relatively disappointing start to the year, the second quarter should prove a lot more encouraging. 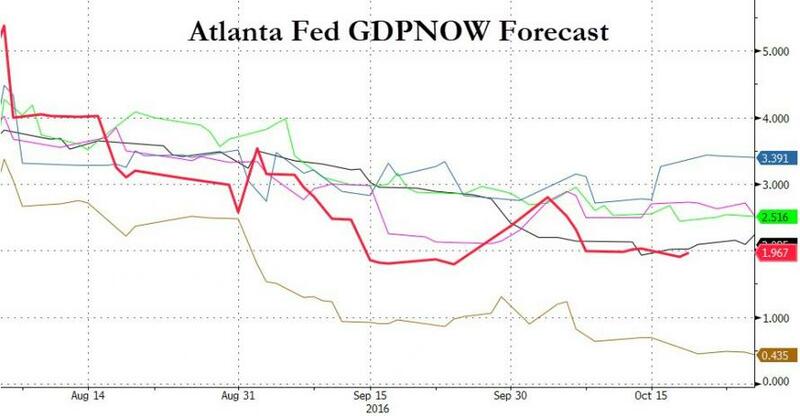 The current data point to an annualised GDP growth rate of 2.5%, with scope for some substantial upside surprises in coming months."